Pregnancy is an amazing journey, but the morning sickness that often comes with it could be very frustrating. Firstly, what you are going through is absolutely natural, research shows that over 80% of women experience morning sickness in one of their pregnancies.You're not alone. Morning sickness can last all day for some women. It usually starts around week 6 of pregnancy and disappears or reduces around week 12, but different women will have different experiences. Here are a few tips to help you deal better with morning sickness. 1. Stay Hydrated: Water doesn’t have enemies, but morning sickness sure runs from the water. It sounds like a no-brainer, but getting your eight glasses of water a day would make you feel much better and is also good for the baby. 2. Eat: Especially Breakfast, an empty stomach can make morning sickness worse. Try eating several small meals every day instead of three large meals. Take more protein, and cut your fatty food intake, this helps keep you and the baby healthy. 3. Get plenty of rest: It is important to get a good night´s sleep. Napping during the day may help too, but not straight after a meal, as this can increase nausea. Go to bed early and wake up early, so you can take time to get out of bed. Do not use sleeping pills unless a doctor prescribes them. 4. Keep physically and mentally active: Being physically active has been found to improve symptoms in women who experience nausea during pregnancy. Keeping busy can help take your mind off the feelings of nausea. Read a book, watch television, play cards or go for short walks to keep you preoccupied. 5. 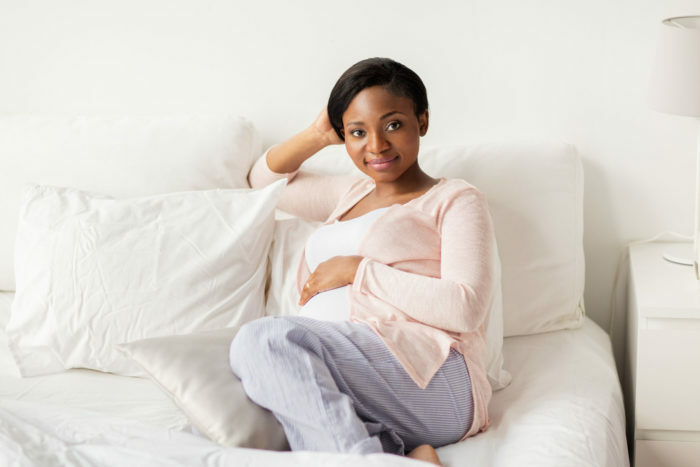 Wear loose and comfortable clothing: Women who experience nausea during pregnancy have fewer symptoms of nausea when they wear loose-fitting clothes. Tight clothing may worsen the symptoms of nausea; consider wearing loosely fitted clothes. 6. Avoid triggers: Morning sickness is linked to an increased sensitivity to smell. Some strong smells can worsen the symptoms. Avoid smells and foods that make you feel nauseated. Citrus juice, milk, coffee, and caffeinated tea commonly make nausea worse.